Dusit Thani Manila recently received the distinction of being the first 5-Star luxury hotel in the Makati Central Business District to receive the Halal Certification for 2016. The hotel has been duly recognized by the global authority in Halal travel, CrescentRating. With no less than a rating of five for its halal friendly services, facilities and for having a dedicated Halal kitchen for food preparation of dishes served at The Pantry. 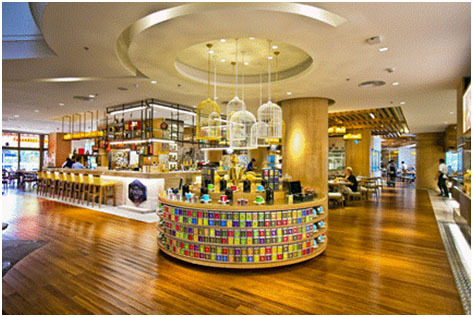 The Pantry is the hotel’s all day dining restaurant located on the Ground Floor. The certification from CrescentRating comes at an opportune time when the Philippine Department of Tourism has been aggressively promoting and marketing the country to our Muslim neighbor member countries in ASEAN and in the Middle East to increase visitor arrivals from the region. Dusit likewise is focusing on their secondary market segments and joined DOT’s successful participation and launch of the Halal Tourism at the recently concluded Arabian Travel Mart in Dubai. 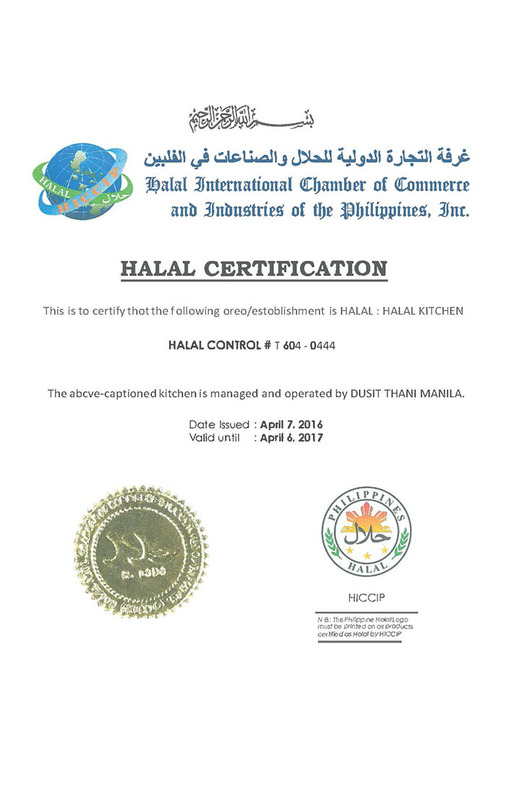 The Halal accreditation was issued by the Halal International Chamber of Commerce and Industries of the Philippines, the only duly and internationally recognized halal accreditation authority in the Country. Halal is an Arabic word that translates to what is allowed and lawful. Halal is characterized as all things that are good and pure, including a Muslim’s halal dietary requirements that are acceptable based on Islamic guidelines gathered from the Koran. With inbound tourism’s opportunities and continued growth of arrivals from the Middle East and Muslim market, Dusit Thani is also hopeful that it will be the high end Muslim traveler’s preferred venue with their requirements. This of course includes having a halal-certified kitchen and the hotel’s halal trained chefs. 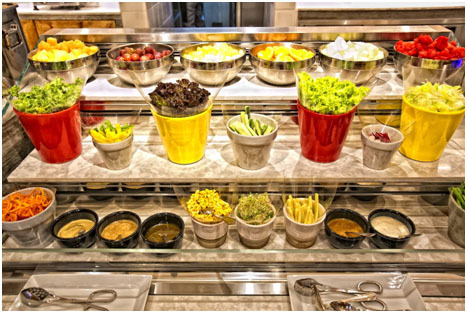 The halal selection of dishes is served daily at The Pantry, the Dusit Thani Manila’s all day dining buffet restaurant. Guests may now enjoy certified halal food in its banqueting facilities. Business and leisure travelers have an option for a customized dining experience with menus that meet their dietary preferences. Whether it is for one diner or for an entire banquet of 1,000 guests or more, the hotel’s culinary team is able to prepare the finest halal food in the city. For more information or reservation at The Pantry, please dial 238-8888.